We are entering the fourth year of our multilingual adventure. With my eldest daughter soon to be four, we have got to that stage where we can relax a bit about language learning. She is already speaking fluently in two languages, English and Spanish, and doesn’t seem to resent it or even think it’s weird. I suppose it has also something to do with the fact that most of her friends are also bilingual or multilingual. We are also feeling increasingly confident about her third language, French. She understands it perfectly and she has started speaking bait to me and to my French friends. For those of you who may have come across the blog just now, I will give you a bit of background about our family and situation. We are two bilingual parents living in England, I am fully bilingual Spanish (native), English (fluent), and my husband is an English native speaker with intermediate Spanish. I also speak French fluently but David doesn’t. The decision to bring our children bilingually was a no brainer, as besides all the obvious advantages of speaking a second language, for us it was also necessary that our children were able to communicate fluently with family and friends in Spain. For me, deciding to speak to them also in French was not really a difficult decision to make, as I love languages but I wouldn’t particularly like to sit down and do the donkey work of memorising vocabulary and grammar if I could avoid it. So, what best place to start than with a baby who will just memorise things naturally without having the adult need to label everything! From the beginning I knew that the issue would be a bit difficult with some people. Most have been great and really support us in our effort to bring our children up speaking our two native languages plus a third one. I was surprised, however, to encounter some resistance coming, surprisingly, from apparently well-educated, well-travelled, internationally minded people! I was once shouted down the phone by a good friend for trying to force French on my children. Apparently, a friend of hers has done the same thing so “unsuccessfully” that her child now understood French! I never asked her if she realised how stupid she sounded. So, the child, poor little thing, did not speak French, but totally understood everything and everybody speaking to him in French! I don’t think that’s such a bad deal, especially for the offspring of a non-native speaker of French. At this point I don’t regret the conscious decision we made of bringing up our children speaking three languages. But I don’t sit back either and totally relax, I keep active in both the Spanish and French communities locally, and I keep researching and reading as much as I can. 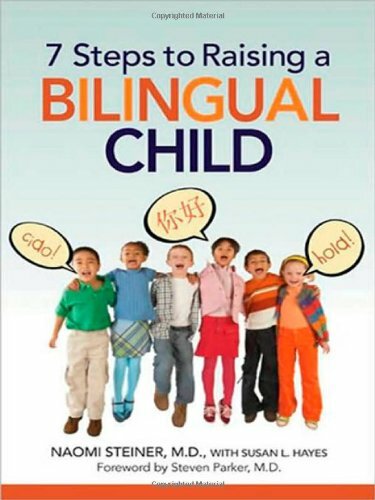 At the moment I’m reading a book by Claire Thomas Growing up with Languages, Reflections on Multilingual Childhoods, I am finding it really engaging, not just because of the style and the information provided, but because I can relate to it from my experience and that of other people I know. With reference to specialists or those people who like to think of themselves as “scientific” specialists of some kind and therefore entitled to have an opinion on everything, I found a passage of the book really interesting. 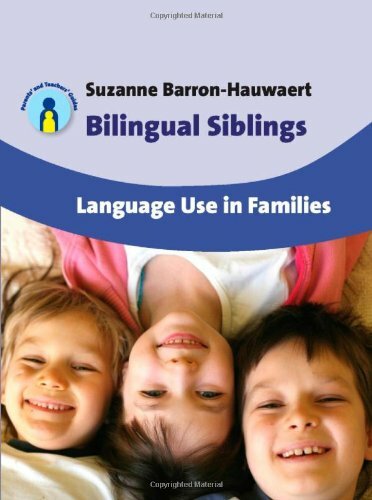 In the first chapter, talking about how in the past most medical specialists would advise bilingual parents to stick to one language, although nowadays we know better, the book says that bilingualism is not something covered in medical studies, and therefore even though one may be very clever and even a brain surgeon indeed this does not mean that one knows anything about bilingualism! So, beware of well-meaning people who try to force their anti-bilingual views on you. Is it just their opinion or they have some hard found facts to back up their claims? Anyway, to finish this post on a positive note, my little one, now 2, also understands the three languages. She is not speaking yet, just a few words and two word sentences, but she does indeed respond to all three. So, it can be done. Leave us your comments and suggestions. We always like hearing new stories from bilingual or multilingual families! we are multilingual family too. My native language is polish, my partner’s italian and we are fluent in english (we live in England). We have two children, 4 and 2 years old. On the begining it was hard and we didn’t have needed support or information. But somehow (without any specific schedule or plan) our son, 4, is speaking polish, italian and english. He started to speak at age of 3 so we were sometimes wondering if it’s not because of too many languages?! But, now, our daughter, almost 2, recognise easily the difference between languages and she’s already using all three languages! She really made us believe that being a multilingual family is possible. Anna, just the other day I met a lady in my area who comes from Bangalore in India. She just happily described to me how all children in Bangalore speak 5 languages, in her own words: the home language, the street language, the school language, English an then the national language. She said everybody learns to speak these 5 language at the same time. She is a nurse, and she said that if you want to work in a hospital you HAVE to speak the 5 languages, because you may have patients whose only language in common with you is one of those 5 languages. They may come from an area where their local languages are different, and you have to use the “national language”, and so on. She looked to me like a very intelligent and normal lady. My God! She speaks 5 languages fluently and can use them in a clinical environment! Here in England we start worrying if our child is going to get confused with 2! So, the short answer is no, I don´t think you child will get confused. The only thing of course, is that you have to make sure that he gets enough input of all the languages. If you don´t speak French, you may want to either learn a bit to be able to help him with school work, or get pay somebody to support this at home. Not so strange, in Spain for instance, A level students and university students make money by doing after school support classes, this sometimes is just coming to the kids house and supervise his homework. So, if you have the chance to send your kids to a bilingual school, which is a good school where he will be happy and learning, I’d say go for it.